﻿ Best Price on Elements of Aruba in Noord + Reviews! Featuring a garden with palms, a furnished terrace and free Wi-Fi throughout, Elements of Aruba is located 500 metres from Acropolis Plaza shopping centre and 5 km from Oranjestad capital city. The apartment offers basic décor, a fan, living area, cable TV and garden views. The kitchen comes with fridge, stove and dining area. The air conditioning has an extra charge. Restaurants offering national dishes and international food are located 10 minutes’ walk from Elements of Aruba. 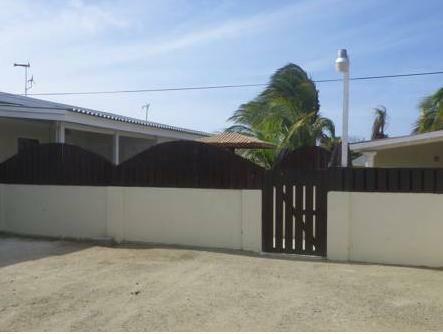 This property is 10 minutes’ drive from Eagle Beach and 5 km from L.G. Smith Seafront Boulevard. Queen Beatrix International Airport is a 20-minute drive away. Please note that the air conditioning is for free 9 hours per day. Unlimited using has extra costs. Please note that a deposit is required via PayPal or bank deposit. It is advised to rent a car to get around easily. Please inform Elements of Aruba in advance of your expected arrival time. You can use the Special Requests box when booking, or contact the property directly with the contact details provided in your confirmation.